What is the warranty on MSC products? In the unlikely event that your Solar Charger should develop a manufacture related fault during this period, please get in touch with us and we will be able to take the necessary action to arrange a replacement after the product is returned in its original packaging. This warranty does not cover miss-use or damage from liquids. Through the contact details on the website and if you would rather speak on the phone email your number. 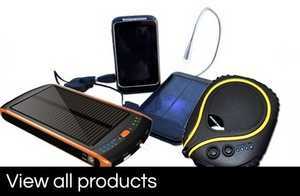 What are the restrictions of carrying Mobile Solar Chargers on Aircraft ? How do I get the optimum conversion rate for the Solar Charger ? Remove the plastic protective covering and angle the solar panel into direct sunlight, out of shadow and not behind glass. Glass cuts out most UV light. It is more important for length of time in natural light, rather than intensity. What happens after my Portable Solar Charger has had 500 ‘cycles’? As with all Lithium Polymer batteries, they will lose efficiency over time, but will continue to work with a gradual loss of capacity. When charging my device (Samsung / LG / Motorola / Sony Ericsson /Nokia / Siemens mobile phones), why does it sometimes cut off? Some makes of phone (especially Apple) work better with their own charging cables. This is generally due to the sophisticated safety internal electronics (to prevent overcharge and protect the devices delicate circuitry) of either the charger or your device, make sure the charger has sufficient charge, unplug and try again. How can I recharge my rechargeable battery? You can recharge your charger, from PC/laptop, car charger or mains via USB adaptor and of course the solar units via direct sunlight. How long does the MSC charger hold a charge for? We only use Premium Batteries, generally, Samsung or LG & they should hold the majority of their charge for up to a year. Why does it take so long for the solar panel to recharge its battery ? Although solar is amazing, it does require surface area (larger the panel the more consistent the current) and time, our mobile devices now have deceptively large batteries to have to recharge purely by the sun. Why does my charger suddenly cut out when it is low on charge? The electronics are protecting total depletion of the battery, otherwise, as with all Li-Po batteries, they cannot then be recharged.